This medication is used to treat flagellate protozoa such as Trichomoniasis (canker), Cochlosoma and Giardia in cage and aviary birds. 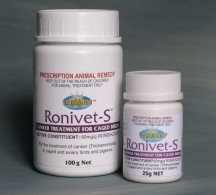 Ronivet-S is considered to be the safest medication for use in birds - it does not cause nerve damage! Dosage and Administration: 6% - 1/4 teaspoon per 1 liter of drinking water. In finches, protozoa infections can be persistent. I have used Ronivet-S mixed at 4 times the recommended rate. I mix it by adding 1 teaspoon into each liter of drinking water. Dosage and Administration: 12% - 1/8 teaspoon per liter of drinking water. With the 12% mixture I would NOT recommend making any adjustments to the dosing rate although the manufacturer states that there is a wide safety range and it can be used at a higher dosing rate. 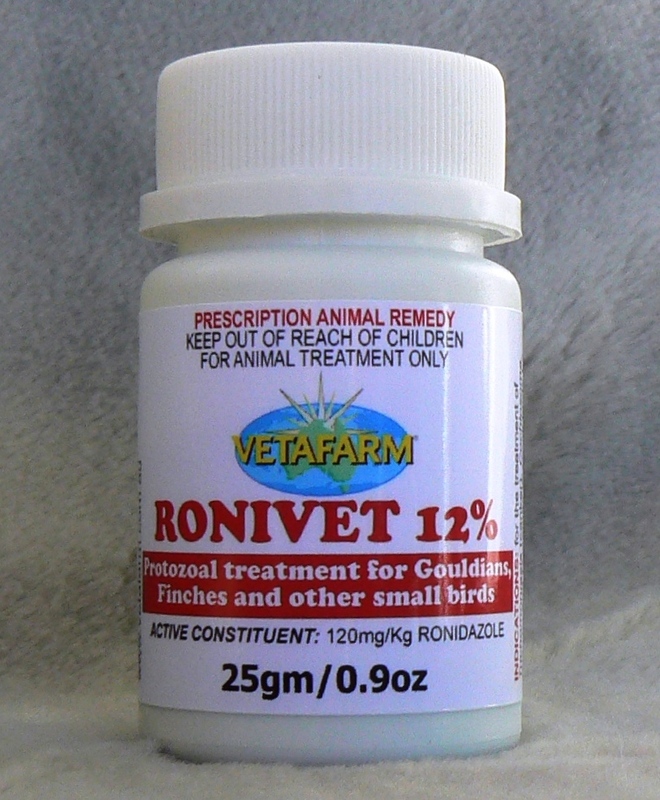 Ronivet-S is safe for young baby birds, even at the higher dosage rate. 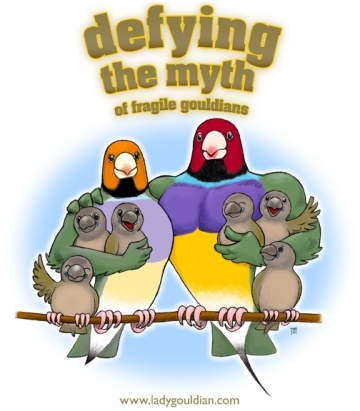 I do not recommend routine treatment of finches with any medication. Resistance to medications is common when they are used indiscriminately 3 to 4 times per year. If a protozoa infection has been diagnosed, or your diagnostic elimination of any other possibility for the illness has been reached, only then should you treat with this or any medication.